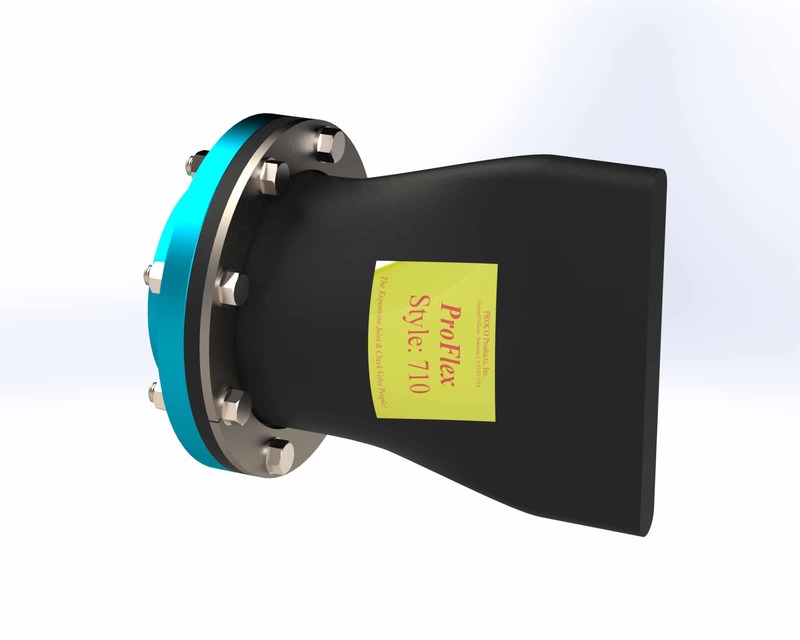 TheProco ProFlex™ Style 710 flanged duckbill check valve is designed to bolt directly to both existing flanges, as well as new installations. The flanges are drilled 150# standard, however other drilling standards are available upon request. The ProFlex™ Style 710 can be installed in either a vertical or horizontal application. 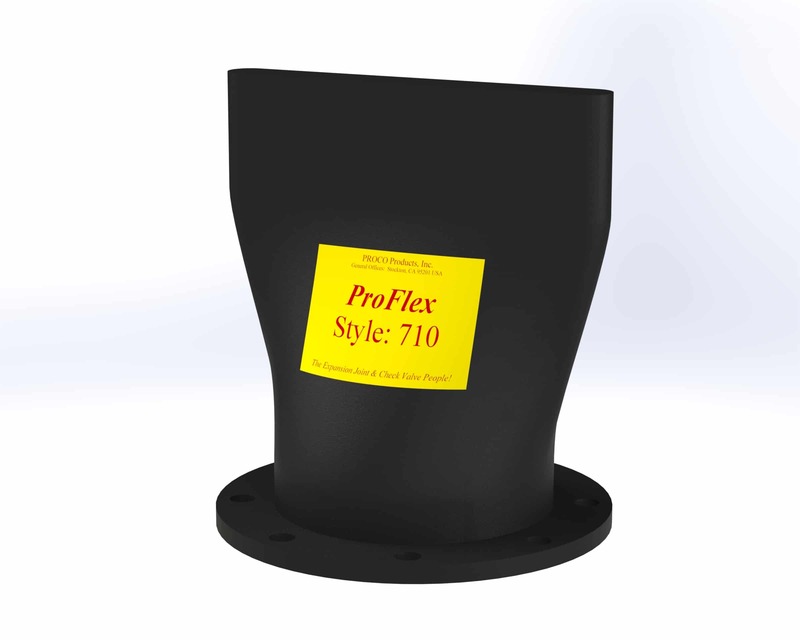 For more information about the features and benefits of the Proco ProFlex™ Style 710 rubber duckbill check valve, download our brochure. 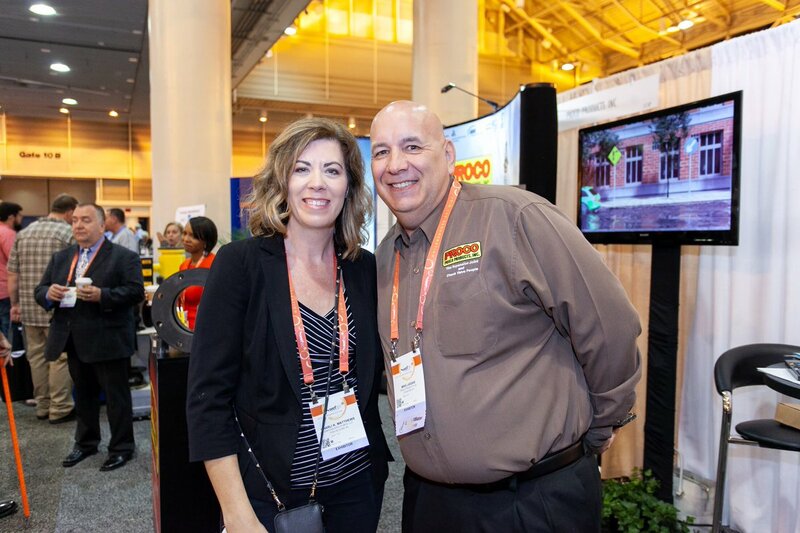 For up-to-date pricing and availability information, contact Proco today. 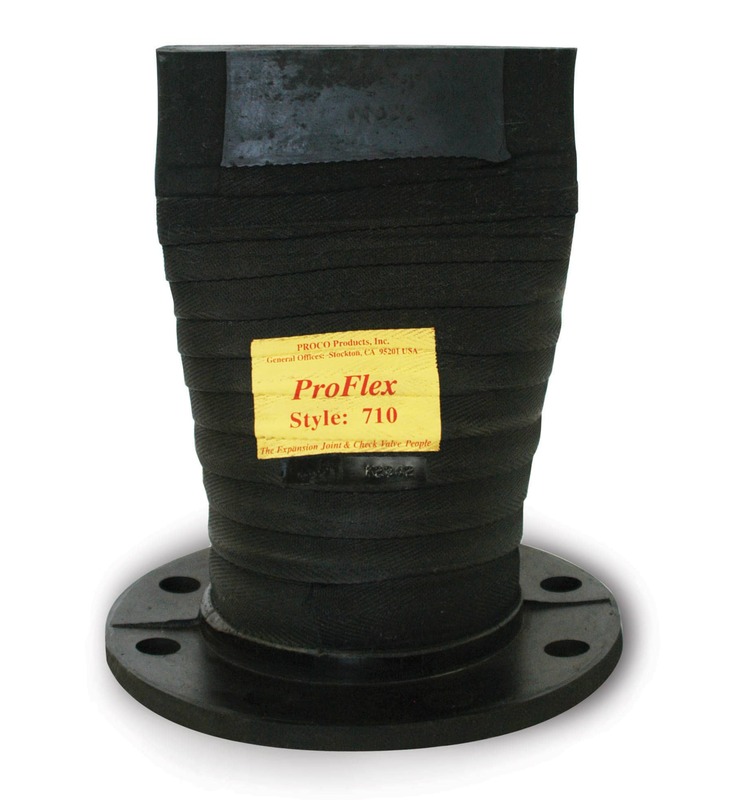 All Proco Series 700 ProFlex™ rubber duckbill check valves are available in a wide selection of back pressure capabilities and elastomers, including NSF/ANSI 61 certified material. Because of the wide array of available configurations, there’s sure to be a Series 700 ProFlex™ valve to suit your application. Proco ProFlex™ rubber duckbill check valves won’t freeze or deform, and they function solely on the inlet and back pressure which are present in each unique situation. Each valve is designed by some of the most experienced rubber technicians in the industry, and are carefully constructed using the finest engineered materials available. All of our Series 700 ProFlex™ rubber duckbill check valves are precisely manufactured to ensure proper operation, and will provide years of unhindered, trouble-free service. For Specific Elastomer Recommendations, See: PROCO "Chemical To Elastomer Guide"
ProFlexTM is a trademark of PROCO Products, Inc.
All products are reinforced with polyester tire cord. 1. Check Valve “cover” can be CSM coated on special order. 2. Styles with Neoprene covers meet all requirements of U.S.C.G. 3. NSF/ANSI Standard 61 certified materials available upon request. 1. Larger sizes available upon request. 2. Weights are approximate, based on service conditions. Due to the wide array of uses for the Proco ProFlex™ Style 710 rubber duckbill check valves, it is recommended that you download our ProFlex™ Style 710 brochure to review the Frequently Asked Questions. This will ensure that you choose the proper style of check valve for your specific application. If additional information is needed, please contact us directly.